The Best Gluten-Free Cinnamon Toast! The magic is in the method. 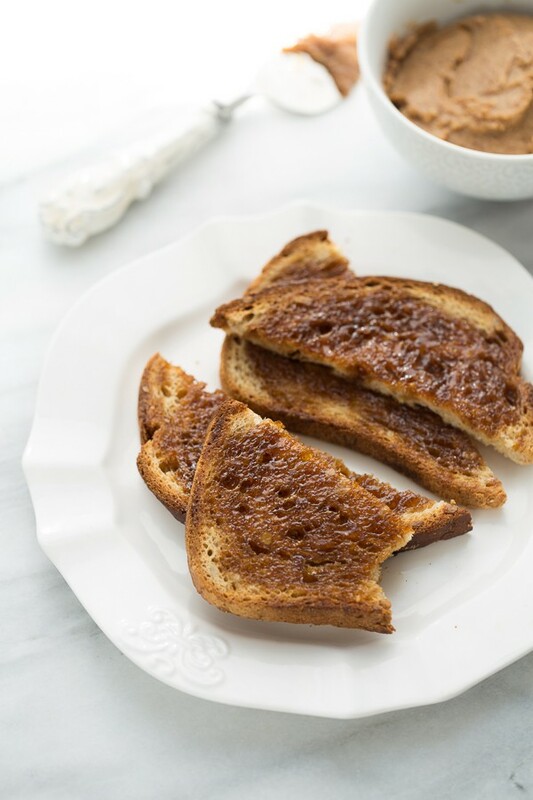 Baking cinnamon toast in the oven makes the most delicious, caramelized cinnamon toast ever! 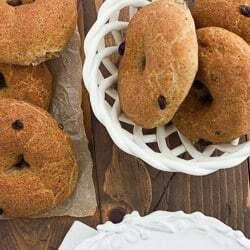 This post was created in partnership with Canyon Bakehouse. Growing up my Dad would keep a little glass bowl of cinnamon sugar on the counter for cinnamon toast. I used to think cinnamon toast was simply buttered toast sprinkled with a little cinnamon sugar. Delicious – but nothing to write home about. Enter the ultimate cinnamon toast. 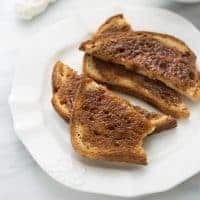 This isn’t just bread with a sprinkle of cinnamon sugar on top – it’s cinnamon toast where each piece is spread with cinnamon sugar butter and caramelized to perfection. 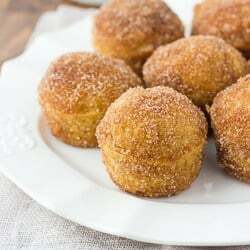 The perfect breakfast treat for any occasion! The magic of this gluten-free cinnamon toast is in the method. 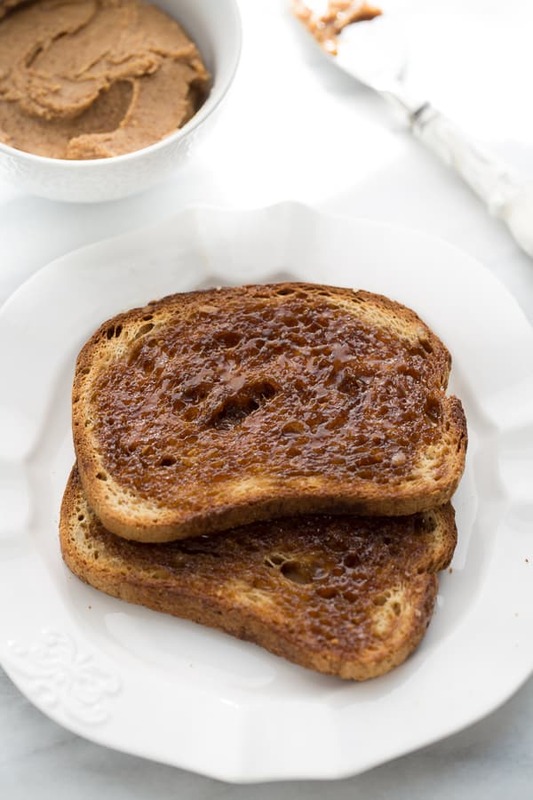 You mix together a cinnamon sugar spread then slather it on the bread. Then you bake the slices for 10 minutes so the cinnamon sugar soaks into each slice and finish the toast off by caramelizing it for a minute under the broiler. Each slice is golden, crispy and delicious. True cinnamon toast heaven! To make the best gluten-free cinnamon toast you have to start with the best gluten-free bread. 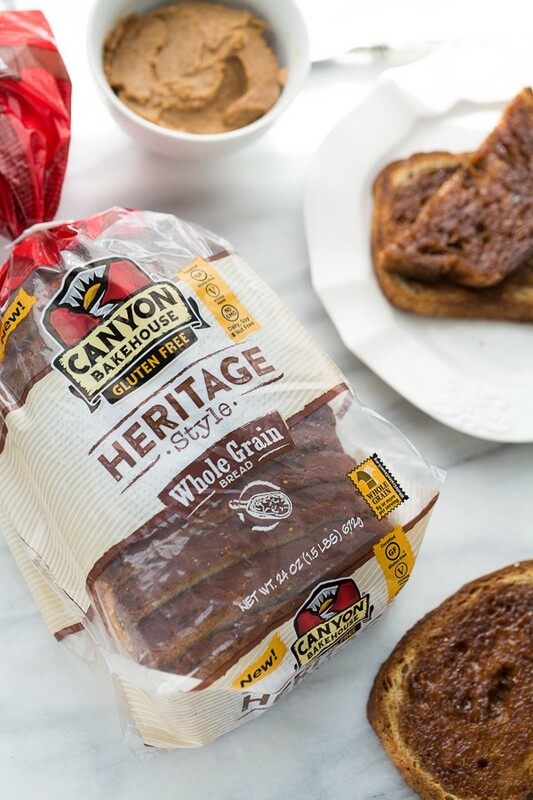 Canyon Bakehouse Heritage loaf is perfect for this toast because of its big slices and soft texture. It is just what you need to reunite a gluten-free friend with a childhood favorite. Right now Canyon Bakehouse is giving away free loaves of their delicious bread for their Reunite with Bread campaign. All you have to do is go to the their site and sign up a friend who needs to be reunited with bread! Both you and your friend will get a coupons for a free loaf of bread. In a bowl combine the vegan butter, coconut sugar, maple syrup, vanilla, cinnamon and salt. Stir until evenly mixed. Spread several slices of bread with a generous scoop of cinnamon butter. Place on a baking sheet. Bake for 10 minutes. Turn on the broiler and broil for about 1 minute until bubbly and caramelized. Enjoy! Okay, this recipe totally brought me back to my childhood! Can’t wait to try this recipe tomorrow morning. Hey! Thank you so much for having all of these recipes, it means so much!! 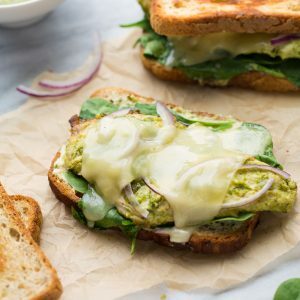 I did want to let you know however, that while this bread is gluten free it is not egg free and it does come up when you filter in only gluten, dairy, and egg free recipes!